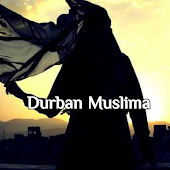 Durban Muslima: Allah is calling! It often happens that I awake after midnite and simply cannot fall back to sleep. But now I've discovered something beautiful about this. It feels just like Allah (swt) is calling my name. So i'm blessed that Allah (swt) has chosen me to wake up from my slumber and be one of the blessed few that pray Salaate Tahajjud. May I and all of the ummati remain as the beloveds of Allah (swt).